I dodged a few raindrops tonight to catch a glimpse of the Upper St. Anthony Falls Lock in full operation for the last time. 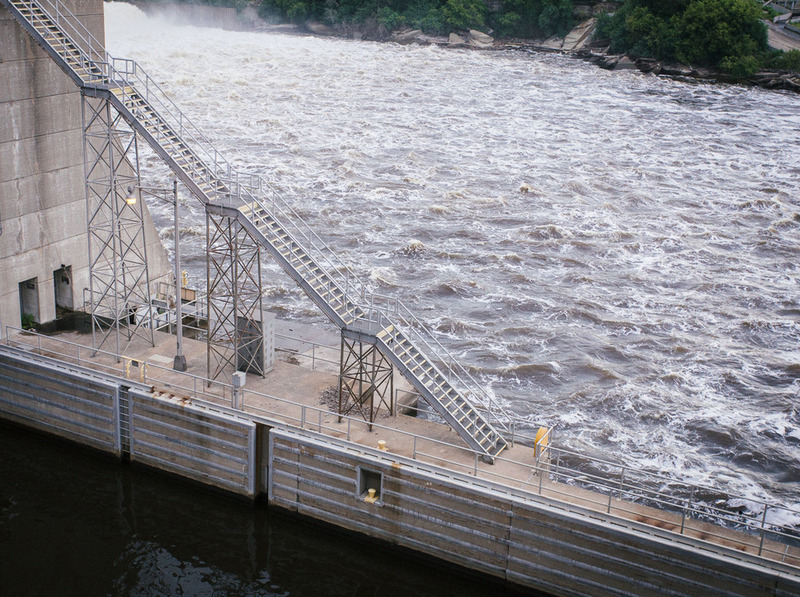 Congress last year ordered the lock closed to try to stop the northward spread of invasive Asian carp up the Mississippi so the lock will be closed permanently effective midnight tonight. The lock first opened in 1963 and was operated by the United States Army Corps of Engineers. Since then it has served as a channel for boaters and kayakers. It’s disappointment to see another chapter in Minneapolis history come to a close, but hopefully the plan to block an invasive species will work.